How to analyse apk? class files, resources? What is the contents of jar file? But, this is not complete works. Download from apktool web site. I tried Mac version, if you use Mac please select Mac version. Do you want to analyse library jar? Some libraries(jar) are provided as jar file only(not included source codes). But, what did it do? In that case, we need decompile. If library enables proguard, the source codes are difficult to read. 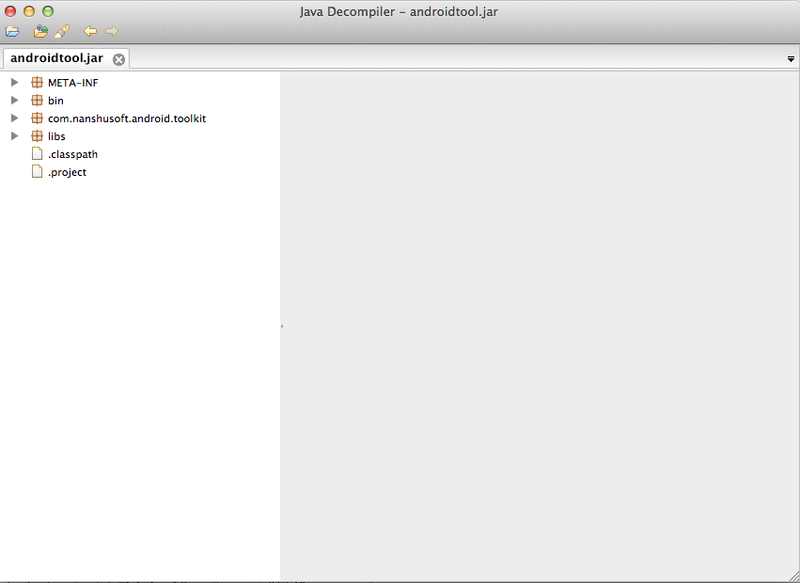 Just like jar files, we can decompile apk too. My first aim to decompile is to check whether proguard works or not. Change index .apk to .zip. You can see classes.dex under extract directory. dex2jar is convert dex file to jar file. This tool has script for Linux, Mac and Windows. Just call script file with dex file path. You can get jar file as output. You can get jar. 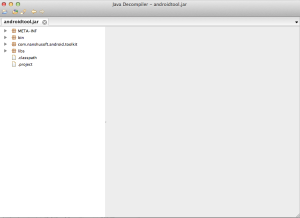 So we can use Java Decompile.